Phone tracking is used to find the location of a person or track his/her movements. It is used by the Police in rare cases to track down suspects and the government can use it anytime. Government organizations, such as the CIA, can perform tracking discreetly. Tracking can never be illegal for the government, as you can never find out if they are tracking you. For common citizens, phone tracking is illegal if it is being performed secretly. Before we take a look at what is legal and what is not, let us discuss how a person can track a phone. The government will never disclose their methods of tracking phones, but we can guess what they do. They might use sophisticated equipment to trap phone network signals. This equipment can be used to trace calls. Police use this method, and you may have seen this method being used in Hollywood films. Of course, most people will not have access to such equipment, but softwares that can replicate this are available. Most of the tracking done these days is through phone number tracking softwares. Don’t expect to just start tracking after installing these softwares. Even they have limits and require input from the user. How do tracking softwares work? This mainly depends on the brand and developers. A particular software may ask for user input, while another may ask for synchronization with a PC. The way they track might be different as well, but that depends on the algorithm of the software. In the end, you should just get the location of the person you are trying to track. 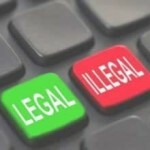 So what is legal and what is not? If your phone is stolen, you can use your IMEI number to trace it. Just give it to your manufacturer and it will find it for you. This is 100% legal. You can even place a tracker on your child’s phone or use it on your relatives to keep a check on them. It only becomes illegal when they don’t know that they are being tracked. So you will commit a serious crime if you place a tracker on someone’s phone secretly. The person who is being tracked must be fully aware of it.